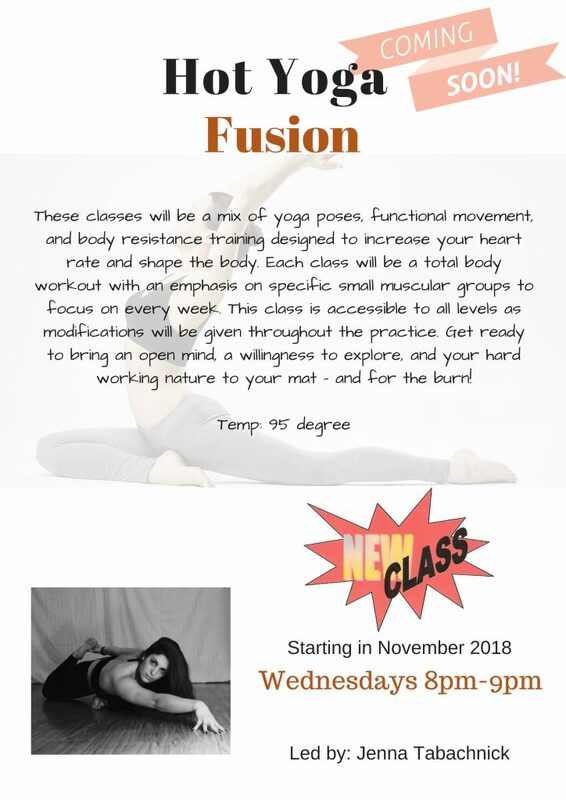 Hot Yoga Fusion is Here! Starting in November 2018, Wednesday from 8-9pm with Jenna Tabachnick. these classes will be a mix of yoga poses, functional movement, and body resistance training designed to increase your heart rate and shape the body. Read the poster below for more information!